Right across the street from Stein Eriksen Lodge in Silver Lake Village is the Chateaux at Silver Lake, which has similar amenities but slightly less convenient ski access. But don't let the easy walk across the street to skiing location put a damper on your enthusiasm for this top-notch property. The Chateaux at Silver Lake is now operated by Stein Eriksen Lodge Management Company, and these units have been able to generate $90,000-$195,000 in gross rental income annually, according to the families who own condos at Chateaux. There is some variability depending on size, views, location within the resort, and amount of owner use. We called for reservations just the day before..no problem! We even sat next to an A-List Hollywood celeb! We'll leave his identity private, but you'll be comforted to learn he treated the staff with courtesy and gratitude. There are actually two elements of the Chateaux...the main lodge (Chateaux A and B Buildings) and The Residences at The Chateaux, which are fractional ownership. 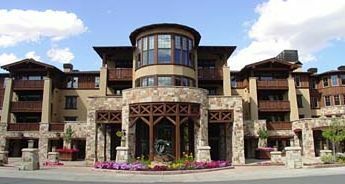 The Residences at The Chateaux do not allow you to generate rental revenue if you can't use your allotted weeks, but it's a great opportunity to buy a Deer Valley Condo at a fraction of the investment of a whole ownership Deer Valley condo. In Lower Deer Valley, The Lodges at Deer Valley & The Silver Baron Lodge seem to generate the most rental income, as they also have group meeting space, shuttle service, and amenities including fitness area and a swimming pool. This property is always a favorite of readers of Conde Nast Traveler magazine. This year, The Lodges at Deer Valley was ranked the 5th best ski Hotel in the USA by loyal readers of this luxury travel magazine. Ski access isn't as good as in Silver Lake Village (Stein Eriksen Lodge and The Chateaux), but the prices reflect this reality too. Not to worry, it's right on the free bus route, so you can just walk out in front of the hotel and catch the bus to Snow Park Lodge (the base area of Deer Valley Resort). Deer Valley busses have racks for your skis on the back of the bus, by the way! 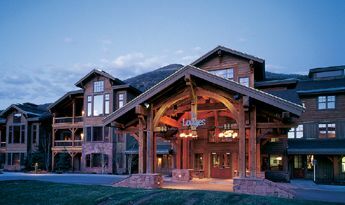 The St. Regis Deer Valley has become one of the finest investment properties in the Park City and Deer Valley area. A top international brand, the St. Regis has a loyal following of high net worth guests who will pay astronomical nightly rental rates for the quality and service the St. Regis brand delivers at each of their worldwide network of properties. The developer of St. Regis Deer Valleyis nearly sold-out, but there are some fantastic view locations available as re-sales from early buyers. St. Regis Deer Valley rents and occupancy have risen consistently every year since the resort opened in 2009/10. Here are the available St. Regis Deer Valley Condos for sale right now. 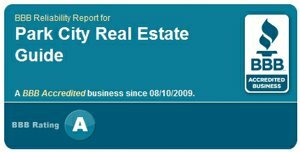 The developer will not provide any rental specifics, but if you want to see historical rental numbers that actual St. Regis Deer valley condo owners have received, we can get them from existing St. Regis Deer Valley condo owners. If you can't find your preferred location or floor-plan via the link above, please email us at stregis@parkcityrealestateguide.com and we'll get you a list of the developer's "Secret Stash" of unreleased units and potential prices. Montage Deer Valley is located near the top of the ski mountain next to the Empire Day Lodge in Empire Pass, Deer Valley. Montage Deer Valley is a favorite choice with families and discriminating travelers from around the world. Montage Deer Valley is nearly sold-out, but you can still get some great deals from the developer on their remaining handful of residences. If you are looking for premium views at Montage Deer Valley, take a look at some of the resale Montage Deer Valley residences that early Montage buyers are now reselling.